By looking at the remains of a prehistoric people living in what is now Sudan, scientists have found bits of a particularly bitter-tasting weed inside the dental calculus (hard deposits) sticking to their teeth. This plant is known to inhibit the growth of Streptoccus mutans, a bacterium which causes tooth decay in humans, but is high in carbohydrates, so it would be a good energy source and would have caused tooth decay if not for its antibacterial properties, although for us moderns, its bitter taste is unlikely to make it a big hit in the toothpaste aisle of your favourite drug store. The cavity rate in the ancients who chewed this plant was surprisingly low (around 1%), while at other locations where this plant wasn’t eaten the rate of tooth decay was much higher – 5%. 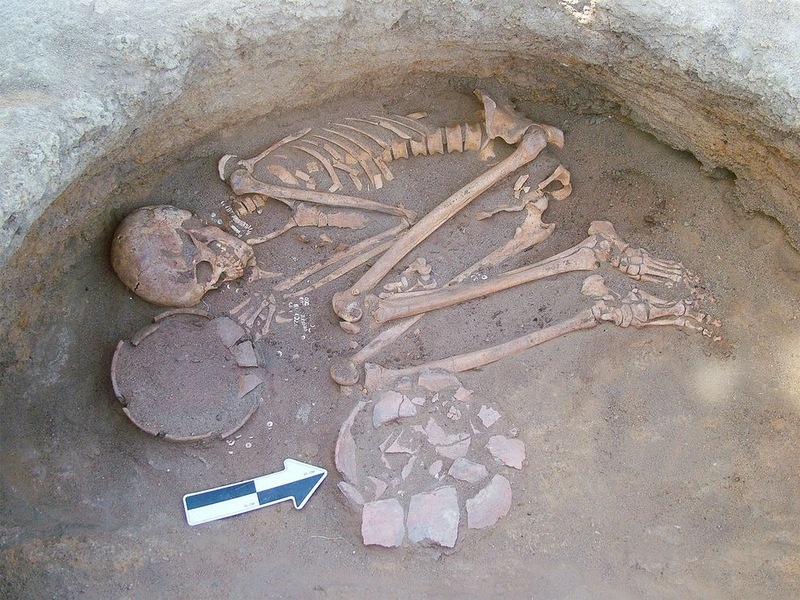 So, here’s evidence that it was possible for ancients to reduce their rates of decay by eating the right foods, but unfortunately this wouldn’t work for us – we eat much more sugar and our tolerance for unpalatable food is pretty low. We have to rely on watching our sugar intake, and on preventing decay by brushing and flossing, but if we get a cavity, we have something these ancients didn’t – at least there’s no archeological evidence so far – dentists.